India-USA: does “strategic partnership” have a future? An incident with the arrest of Indian diplomat by the U.S. authorities in New York, which occurred on December 12, 2013, and an openly discriminatory treatment of her, has forced India not only to take a series of response measures, in respect of members of the U.S. diplomatic corps in its country, but also to reconsider the nature of its relations with Washington in various areas, such as energy (especially the nuclear sphere), trade, military and technical, and scientific cooperation. 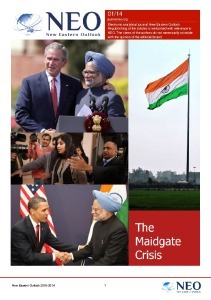 Various American analysts assessed the considerable development of U.S. relations with India, which has been achieved in the last ten years “as an undoubted success of White House policy since the “cold war” ended. The first notable progress in the USA-India relations occurred during the visit of the U.S. President Bill Clinton to India in March 2000. The growth of India’s economy and liberalization in this country did not go unnoticed in America. During the presidency of G.W. Bush Jr., Washington started carrying out a “policy of enhanced cooperation” especially vigorously. Since 2004, the trade turnover between the two countries has grown from $30 billion to almost $100 billion by the end of 2013. The amount of mutual investments has also increased. Particular attention of the U.S. to India is due not only to the fact that now it is a country with a strong economy and huge human recourses, but also due to the fact that it is a nuclear power. India has been actively developing its nuclear energy and nuclear industry, and the armed forces of the republic have been equipped with nuclear weapons. Considering these factors, the White House has noted that India can become a real geopolitical U.S. ally in the region, and be used to protect U.S. interests against Pakistan and China. In particular, in case of a skilful use of the fears of New Delhi, concerning a terrorist threat from Pakistan and recurring problems in Chinese-Indian relations. In July 2005, Prime Minister Manmohan Singh and the U.S. President George W. Bush Jr. signed an agreement on cooperation in nuclear power engineering. In 2008, India and the United States concluded their first long-term strategic agreement in the field of foreign policy and global partnership on cooperation in civil nuclear energy. According to these agreements, over the next few decades, India was guaranteed a supply of nuclear fuel for civilian reactors, many of which, of course, were to be built by American companies. The value of these contracts was estimated at nearly $150 billion. However, in subsequent years, these agreements were not developed due to the unwillingness of the U.S. side to take responsibility for any nuclear accidents in the future, which was provided by the law on this issue, adopted in India in 2010. Such a “reserved” position of Washington is not surprising, especially because, as the experience has shown, not all nuclear facilities built by the USA can be regarded as completely safe, even in the face of climatic or geological processes. This was made apparent, in particular, by the recent events with the Fokushima nuclear power plant in Japan, which was built with the participation of the United States. While developing relations with India, Washington’s special interest in the last decade has also been due to New Delhi’s policies regarding the modernization of armaments of its national army. After all, the structure of conventional weapons has remained virtually unchanged for more than a quarter century in this country, and has grown increasingly inadequate in the conditions of a technological revolution in the military sphere. Therefore, being a de facto nuclear nation, India should have developed a less cumbersome and more effective military force, created a military industry that would place its nuclear missile forces at the centre of national defence. For this reason, it is the military and technical cooperation and arms sales to India, which in recent years have become the main directions of development of not only the White House bilateral cooperation with New Delhi, but also of fixing the dependence of this Asian nation on America. This, in particular, was said in June 2012 by Leon Panetta, who was the head of Pentagon at the time, and who also noted that New Delhi was an “important link” in the new U.S. military strategy focused on Asia. “The military cooperation with India is the basis of this strategy,” he said. As a result, the United States has sold India weapons worth more than $12 billion in the past five years alone, concluded agreements for supply of primarily military aircraft equipment worth many billions of dollars in the coming years. They include, in particular, 22 Apache combat helicopters, made in America (total amount of the contract is estimated at about $1.5 billion), 15 heavy Chinook transport helicopters (order amount is nearly one billion dollars), 12 P-8 anti-submarine aircraft (contract amount is about three billion dollars), 12 C-130 J transport aircraft, known as the Super Hercules (amounting to more than $2.1 billion), 10 C-17 military transport aircraft (total value of $4.1 billion), 3 Gulfstream-3 reconnaissance aircraft equipped with a special marine observing radar and an inertial navigation system, 245 Stinger MANPADs, and a significant amount of ammunition for them, etc. In addition, it has been planned to equip the newest Indian fighter – the Tejas, the production of which is now in the initial stage – with the engines of the American company General Electric (at least 220 units of this aircraft version should be supplied to the Indian Army). 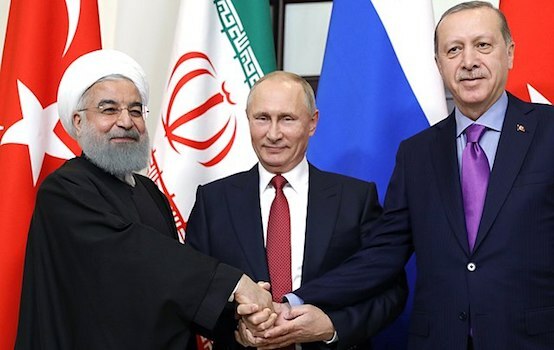 Of course, not all of these military contracts have been executed in the normal way or have the prospects of implementation under the present circumstances. The Indian side has repeatedly had doubts regarding the sincerity of the American “sellers”. Moreover, this is not surprising if we recall just the widely known incident with the arrest of the CIA agent F.D. Larkins by the security forces of India in 1984. This agent was trying hard for several months to persuade representatives of the Indian Defence Ministry, in various ways, to make a decision on purchasing weapons produced in the West (especially in America). The incidents that occurred between the two countries in computer space during the last period, from which India has suffered repeatedly, also lead the Indian side to a critical rethinking of the country’s “strategic cooperation” with the U.S. It is not only the publicly known facts of keeping under surveillance politicians, academics and ordinary citizens of India in the information space, organized by the U.S. intelligence, and activity of a number of radio interception and computer control centres in the region and in India. It is also computer viruses of the Stuxnet type, created by the U.S. National Security Agency, from which computer networks in India have suffered. The Indian side is also reconsidering its scientific cooperation with the United States. In this respect, we can mention the widely known past incidents with scientists from the American G. Hopkins University, who were expelled from the country by the Indian authorities for their work in the suburbs of Delhi and Indian port of Pondicherry. These experts were working on changing the genetic code of mosquitoes to “teach” these insects to carry not the traditional malaria virus, but the causative agent of yellow fever, which has a much more powerful and “harmful” effect. 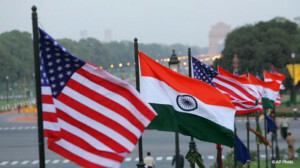 Thus, despite the rapid development of the USA-India relations in recent years, many controversial issues between the two countries still require resolution. There is no doubt that the alert public, the media, and politicians in India will follow attentively the development of the December incident with a member of the Indian diplomatic mission in New York, and its impact on future USA-India relations. Of course, this incident will contribute to further aggravation of the struggle in the upcoming parliamentary elections in India between the currently ruling Indian National Congress and the nationalist Bharatiya Janata Party, which adheres to an anti-American position, and is now starting to make gains in popularity. Charu Lagan, columnist and political observer on the South Assian and Middle Eastern affairs, exclusively for the online magazine “New Eastern Outlook”.